If I were to employ a personal trainer, I’d expect them to push me to work harder to achieve better results. It seems obvious to me that the same should apply to the relationship between teacher and learner. But do we really do this as teachers? And what are the practical ways in which we can? Last week the teachers from our school joined with the teachers from our partner school in Eastbourne for a Teacher Development (TD) session delivered by Jim Scrivener, followed by a slap up meal. As I understood from the session, Demand High aims to raise the quality and quantity of learning in our classes by pushing our students to their fuller learning potential. This is done by extending activities in such a way as to require the students to go deeper into the content of the material, rather than just ‘doing’ an activity or unit in a course book. As our Director of Studies (DoS) had requested that the workshop have a practical focus, Jim took us through several activities as a way of demonstrating this. There were a few activities that particularly struck me, and I’ll describe them below along with my thoughts. I’ve given them names that in my mind explain or summarise what they are. One activity used a substitution exercise as its starting point. In a short text we had to replace underlined with alternatives from a choice of words in a separate box (see illustration). After completing the exercise we were asked to read through the text in silence using the substituted words, rather than the original. Next we turned our papers over and Jim had displayed the (substituted) words on the screen and asked us to try and recall the surrounding words. The interesting point here was that it wasn’t a test. We could refer back to the text whenever we wanted to, but were encouraged to challenge ourselves. There’s a world of difference between teacher-testing-student and student-challenging-themselves, the latter being something that is immediately more personal and thus engaging (fostering intrinsic as opposed to extrinsic motivation), as well as promoting learner autonomy. I frequently use a similar activity to this which I call ‘traffic lights’. 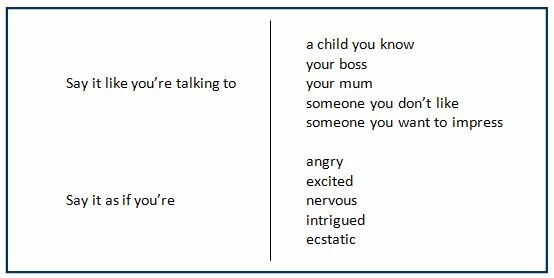 ‘Traffic lights’ is a ‘noticing’ activity in which learners locate words in a text and then look left and look right to identify collocations. The teacher then whiteboards what the students identify to draw attention to collocations, meanings and grammar patterns. 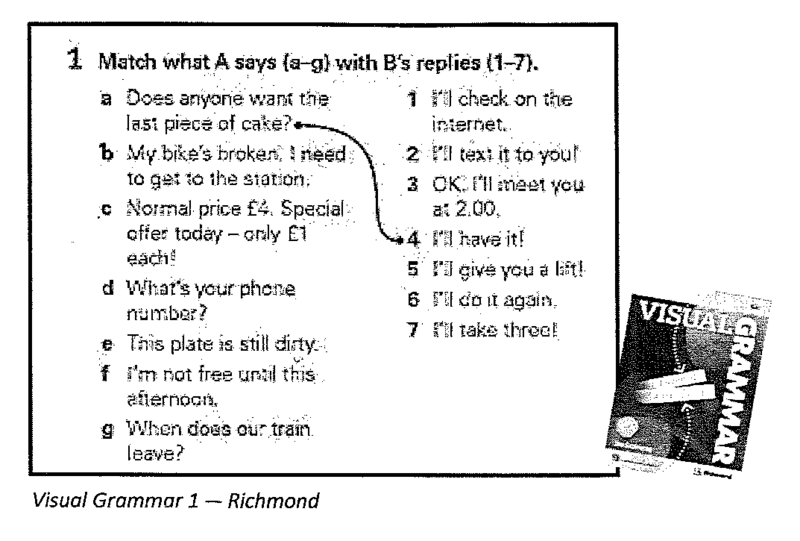 Jim’s version encourages learners to recall the co-text as opposed to just noticing it – a more active experience which requires learners to engage on a deeper level. Listen to and recall a set of questions about the text before answering them. The questions were not only ones whose answers could be found in the text, but also those with less obvious answers, encouraging discussion amongst the group. Another activity began with a simple statement-response match task (see illustration). Jim went into a lot more detail than my illustration shows, and the whole group worked in pairs to try out saying the sentence silently – without miming, before going on to identify stress and syllables. We then looked at the response – “I’ll give you a lift” – and the varying ways in which this could be said (as if you want everyone to know, as if you don’t want anyone to know). There were two things that particularly struck me about the activity. As I describe in a previous post (What do I expect from a teacher? 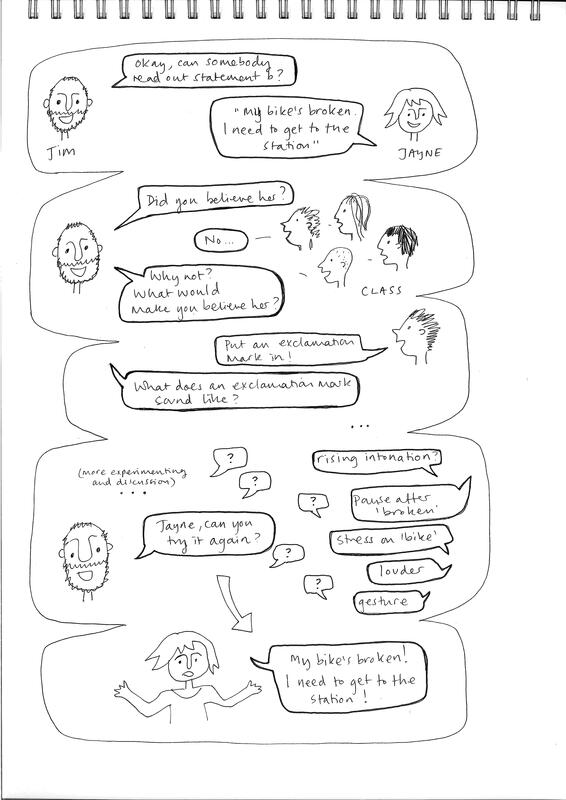 ), I encourage learners to play with delivery of a speech act or utterance (see illustration for examples of how I do this). I’ve always intuitively felt this to be a more interesting and memorable way for learners to practise pronunciation. But I hadn’t really consciously examined why this is. 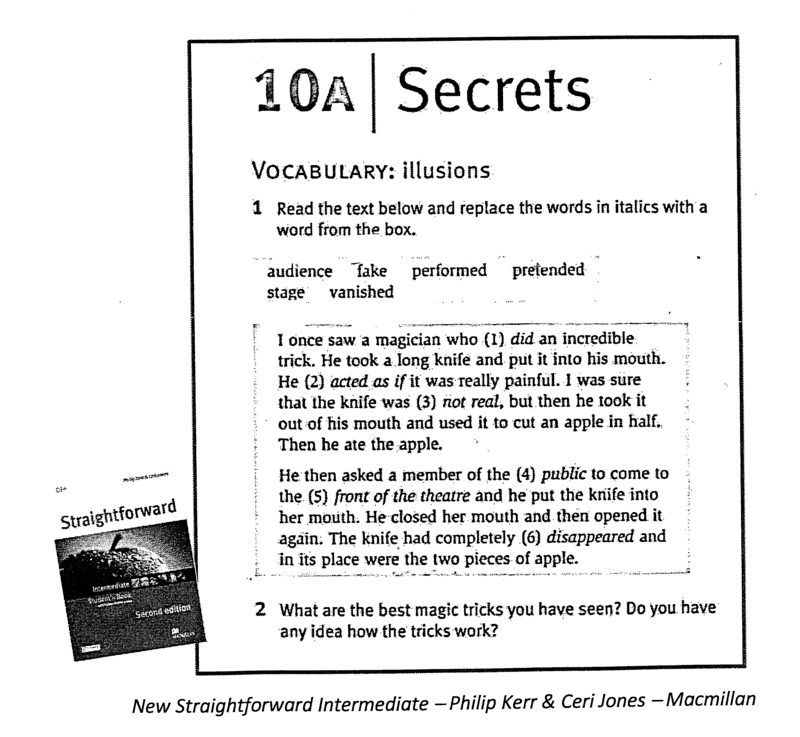 What came up in Jim’s session was that this type of activity helps learners to personalise the language, encouraging them to connect with it on a deeper level. This in turn helps to aid retention – the language becomes more memorable – not only the pronunciation but also the meaning and grammatical form. Jim’s activity also focused more on the detail of exactly what was happening, making it a deeper and more thorough exploration of the language for learners. I was also interested by the role repetition plays in such an activity. Although now less popular in Western schooling of ELT, there are doubtless cultures in which rote repetition (written and/or spoken) still prevails as the primary learning technique. In truth, when learning German several years ago I resorted to repeatedly writing out lists of phrases in order to commit them to memory (it worked, by the way). We all tell our students that if they want to remember the language they have to use it, but ‘using’ the language is in itself another form of repetition, albeit in a more meaningful way. What struck me about Jim’s activity was the amount of meaningful repetition taking place during the lesson. Not only were we making a deeper connection with the language, we were doing so repeatedly. In our initial discussions about how to extend the statement-response matching activity above, I think inspired by some of the discussions with Simon in the Language Awareness module; I had the idea that students could build contexts in which alternative answers might be possible. What would the context be, for example, for the statement-response below to be conceivable? I’m particularly excited by this idea as it challenges learners to be creative and highlights the importance of context. I’d really like to try this out when the opportunity arises. All in all I found the workshop to be both informative and inspiring, and the combination of new activities and my own ideas left me itching to try some things out. Jim also gave us a great handout with loads of new ideas. PS: Dinner was smashing too. Much respect to my DoS and school for being so awesome.